Leica Camera Asia Pacific will be presenting “Mark Shaw: An Asian Debut“ at the Leica Galerie Singapore. Catch the Asian Debut of American celebrity photographer, Mark Shaw who has been known for his works with iconic and well-known personalities and celebrities. Get upclose with intimate images which depict the magic of Picasso’s studio, glamourous photos with Dior, Givenchy, and Chanel, as well as quirky and personal insights into the personal life of Audrey Hepburn and Coco Chanel. 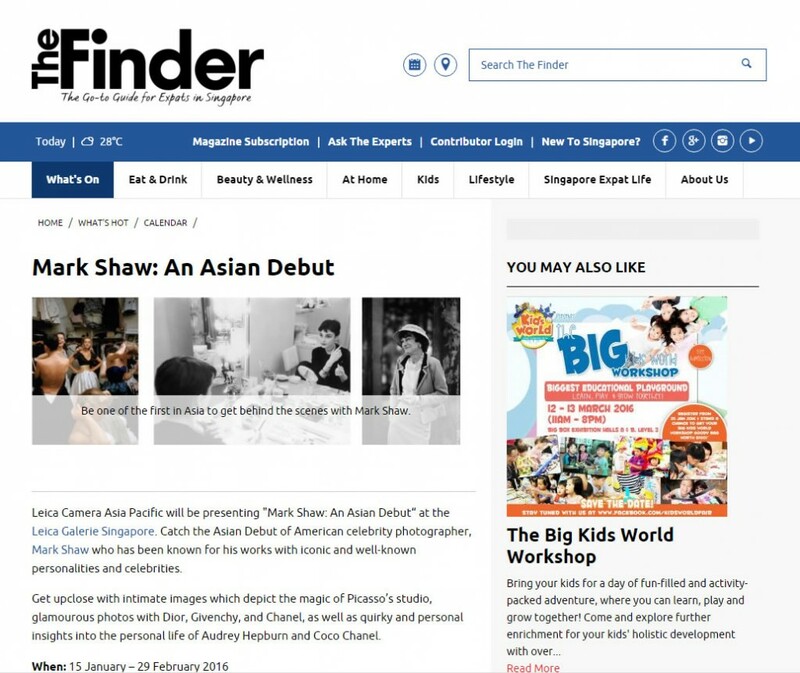 Read the full story at TheFinder.com.sg.